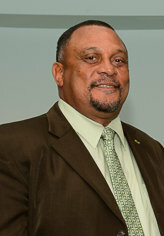 PLP Leader Marc Bean said, “A lifelong Trade Unionist and member of the PLP, in 2012 Mr. Dill took on the daunting challenge of Chairing the Party after our electoral defeat. “During his tenure, he served with integrity and honor, upholding the tenets of the party and supporting the call for service with clean hands and a pure heart. “We are thankful for his work, grateful for his contribution and join his family and loved ones in mourning his loss. “To his wife, Wilma, his children, and family, we extend our deepest sympathies and thanks. Update 3.09pm: Premier Michael Dunkley today extended condolences following the passing of Mr. Dill. Premier Dunkley said, “On behalf of my colleagues, I wish to extend sincere condolences to the family and friends of Mr. Maynard Dill. Update Sept 5, 3.22pm: OBA Chair Lynne Woolridge said, “It was with sadness that we learned this Labour Day weekend of the passing of PLP Chairman, Maynard Dill. “On behalf of OBA Parliamentarians and Executive and everyone in Bermuda, I offer condolences and sympathies to Mr. Dill’s family and friends and his PLP Family. “Mr. Dill was passionate about serving Bermuda and Bermudians and he leaves a lasting legacy through his work as plant foreman at BELCO, as a passionate trade unionist, sports enthusiast, father and grandfather.